The high-performance sports car’s chassis was meticulously reworked to enable the unique driving power to be safely controlled. The main spring rates were slightly increased and the stabilisers were strengthened. In conjunction with the newly developed dampers, adapted from motorsport models, this enables perceptibly more precise control of the wheels and the vehicle. In addition to the high lateral potential of up to 1.4 G, the optimised interaction between the tyres and the smart four-wheel drive system enables perfect handling. A powerful torque of 1,500 Nm enables even higher acceleration values when coming out of a turn. All components of the drivetrain were extensively reinforced in order to safely transmit the immense forces. The fine-tuned optimisation of the bodyshell aerodynamics improves efficiency and ensures perfect balance in all driving scenarios. Modified air vents improve the airflow and cooling efficiency. The full-carbon monocoque features a new fibre structure that guarantees even higher torsional rigidity than the basic model with maximum passive safety and reduced weight. 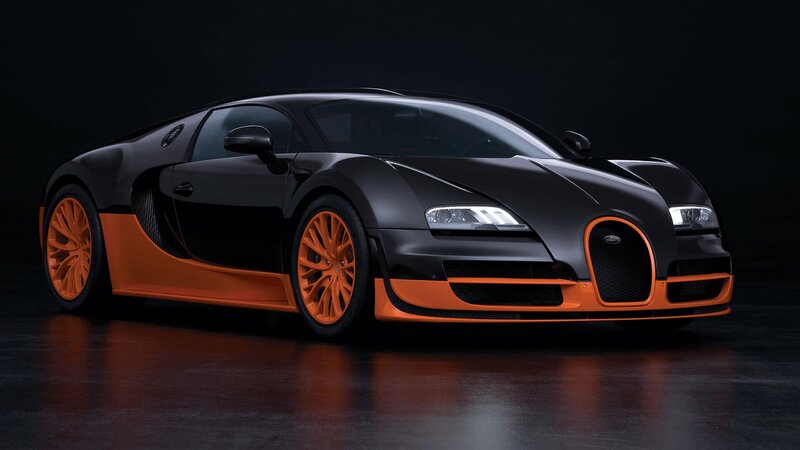 The Bugatti Veyron 16.4 Super Sport’s flat, elongated form is immediately recognisable. Instead of bonnet scoops, the 16-cylinder engine is ventilated by two NACA ducts in the roof. 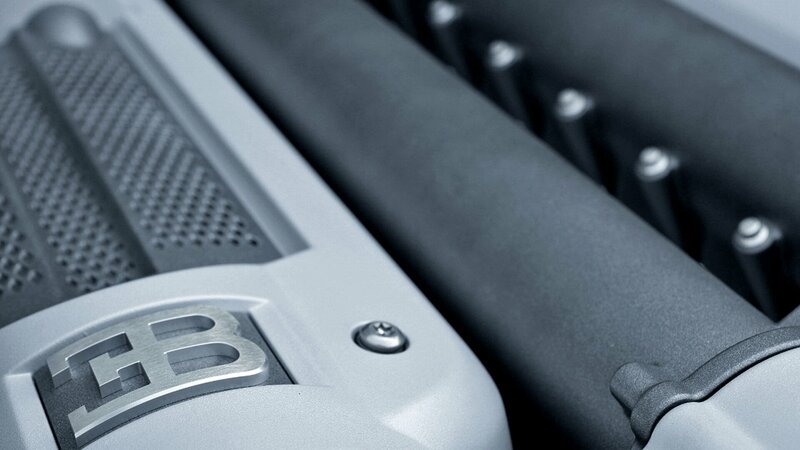 The front section is dominated by larger and completely redesigned air vents. 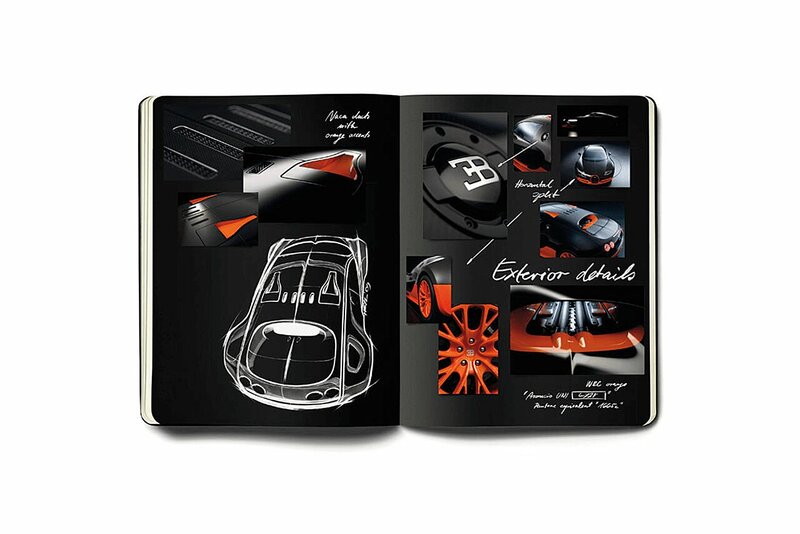 The bottom air slot extends into the wheel wells on the sides, giving the supercar a bold look. The new rear section features a double diffuser and wide, central exhaust for a sporty look.